SEOUL -- On a special order from President Moon Jae-in, South Korea's defense chief announced a neutral and independent investigation into allegations that a military desk plan for a coup was forged at the height of anti-government demonstrations in March last year. Defense Minister Song Young-moo said in a statement on Tuesday that a special team of military prosecutors would be formed to launch a swift and fair investigation. To ensure an independent investigation ordered by Moon, the minister offered to take his hands off and promised to punish anyone involved. 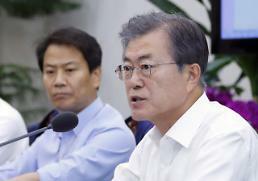 Moon's order was made during his four-day state visit to India that began on Sunday. 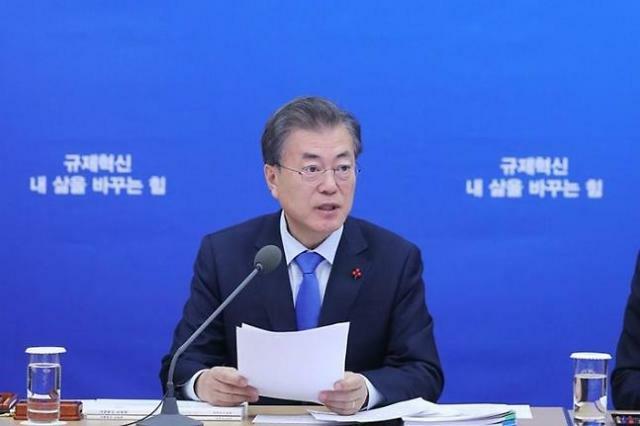 The presidential office said that Moon called for a quick and uninterrupted probe because incumbent senior military officials may have been involved. Last week, the Military Human Rights Center for Korea disclosed a military desk plan for a coup to safeguard ex-president Park Geun-hye in March last year when the constitutional court made a landmark decision to confirm her impeachment. The plan was allegedly drawn up by So Gang-won, an army major general at the Defense Security Command (DSC), a counterintelligence unit charged with internal security and the deterrence of subversion. "It was not for the normal declaration of a martial law but a self-coup plan to illegally take control of the nation," the right group said, disclosing a DSC document that called for a garrison decree to mobilize some 200 tanks, 550 armored vehicles, 4,800 armed troops and 1,400 paratroopers if the constitutional court refused to endorse Park's impeachment on March 10. If the situation gets worse, the document allegedly suggested a martial law should be imposed to mobilize front-line troops and mechanized units stationed north of Seoul and send them across the country. 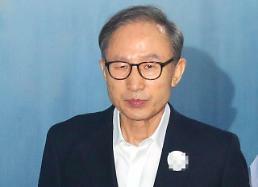 The rights group said the plan was not carried out because Park's impeachment was upheld. The document triggered a political outcry, but the defense ministry has been cautious because of its sensitivity. The DSC chief has not reported the existence of the document. Ex-president Chun Doo-hwan staged a coup in a similar way in to seize power while serving as a top DSC officer in 1979 after Park's father was assassinated.